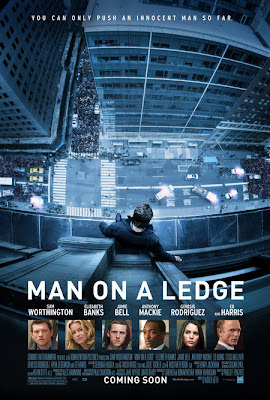 Reel Talk Online: First Look: "Man on a Ledge"
First Look: "Man on a Ledge"
Sam Worthington headlines a slight twist on the age-old heist movie in Man on a Ledge. In the movie, Worthington plays a framed cop who threatens to jump to his death to avoid wrongful punishment. But with a host of cops and onlookers crowding around the scene, he hopes to pull off the ultimate heist just when the city is at his mercy. The plot seems a bit stale but, hey, Kyra Sedgwick, Anthony Mackie and Ed Harris are in it so it can't be too bad. But then there is the wildly inconsistent Elizabeth Banks...You be the judge. Check out the trailer below. 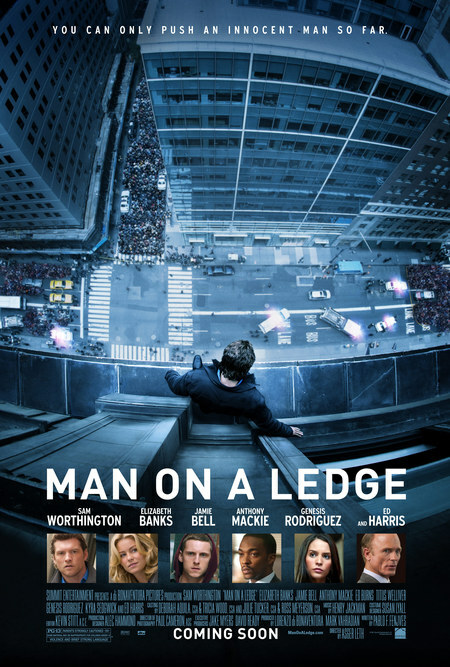 Man on a Ledge jumps to theaters January 13, 2012. Looks good, but the January release has me a bit worried. However, with a cast like this you can't really go wrong. Nice post Candice! I think this looks pretty good. I like most of the cast apart from Jamie Bell. Excited about this one. Seems interesting! Can't get the trailer to work, but it seems like phonebooth meets inside man in theory.